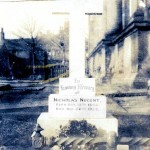 Nicholas Nugent, born 1845, was the elder son of Sir Oliver and Lady Nugent, of the fifth generation of Antiguan Nugents. 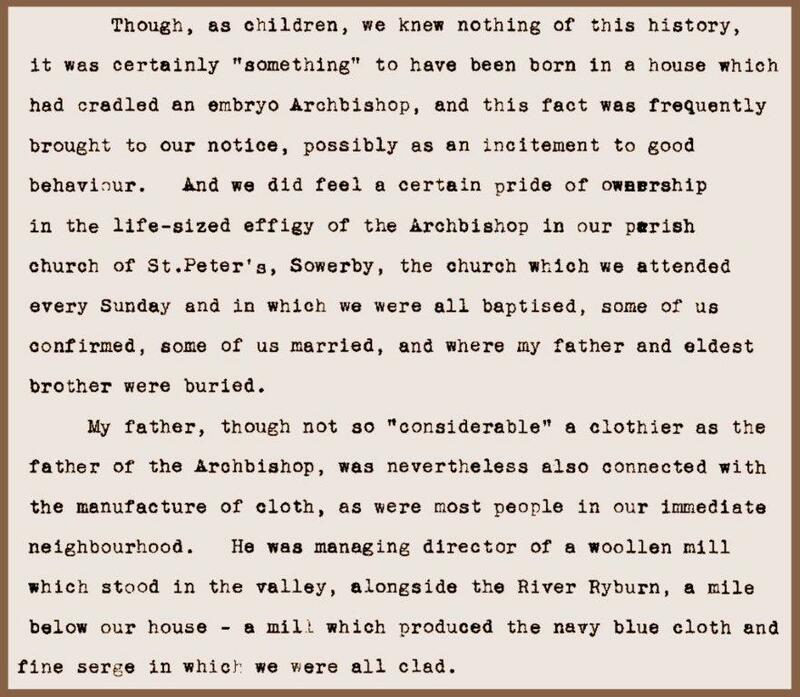 Like his younger brother Oliver (born 1850) he was sent to school in England, to Rossall in Lancashire, but unlike his brother he seems not to have returned to Antigua but settled instead at Sowerby near Halifax in West Yorkshire. There he lived firstly at Old Haugh End, a Tudor house famous as the birthplace of John Tillotson, Archbishop of Canterbury from 1691. Later, when his large family was complete, they moved up the hill to the manor house of White Windows, built between 1763-8 by John Carr. 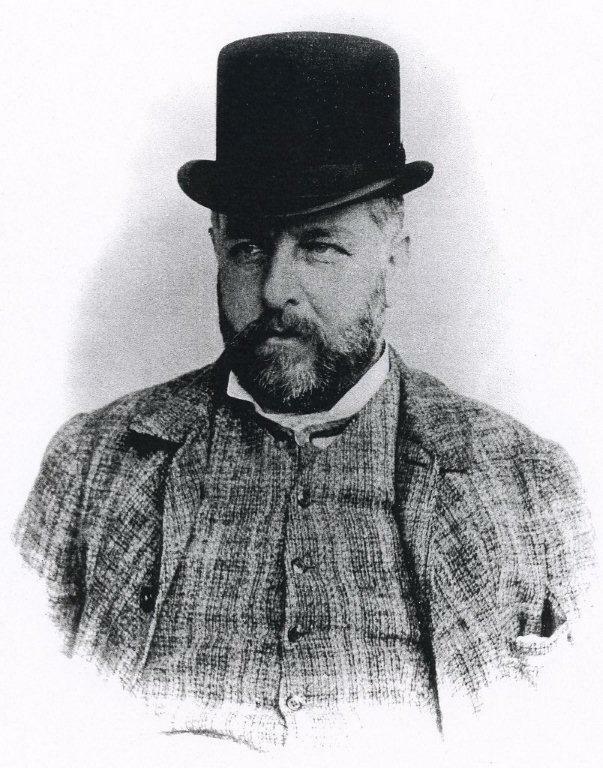 Having been brought up amid Antiguan sugar mills (Betty’s Hope then Millars) Nicholas found employment in the Yorkshire wool industry becoming managing director of Edwards and Rawson woollen mills at Canal Mills, Sowerby Bridge. 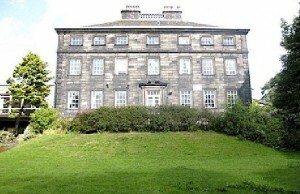 Nicholas married Caroline Adelaide Perry of Roscommon thus reconnecting with his pre-Antiguan Irish ancestry and together they originated the West Yorkshire line of Nugents. 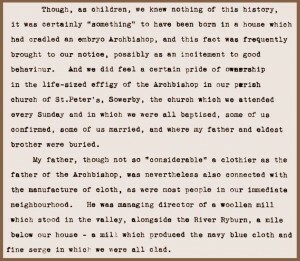 As chronicled in earlier pages, the Nugents had migrated from Normandy to Ireland with barely two generations in England between 1066 and the early 12th century, so Nicholas and Caroline putting down roots in West Yorkshire was a significant stage in the family’s history. 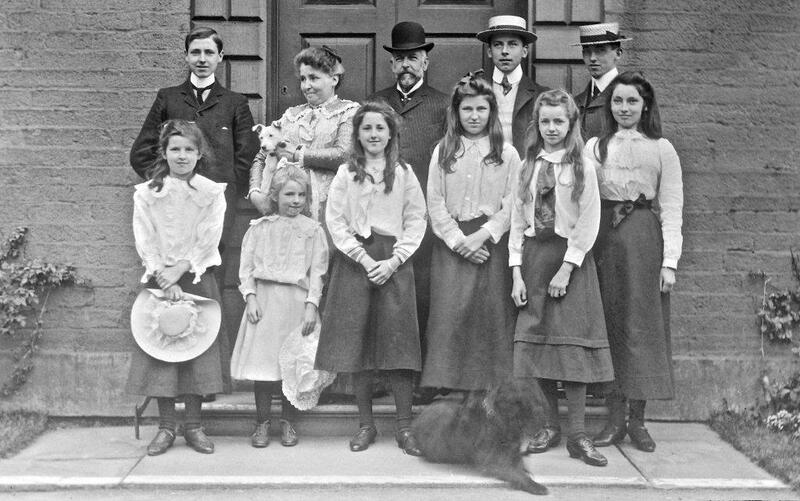 They had nine children: the boys, Walter Vyvian (b 1880), Hugh Neville (b 1882) and Charles Evelyn (b 1883) came first followed by Margery Constance Ottley (b 1884), Beatrice Mary McNeill (b 1886), Muriel Kathleen Clare (b 1888), Evelyn Dorothy Noel (b 1890), Maud Eileen Kirkpatrick (b 1892) and Lilian Adelaide Norah (b 1893). 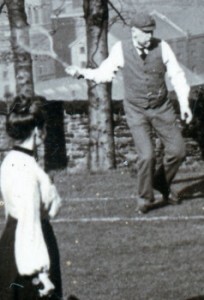 Nicholas, known as ‘Old Nick’ in his later years, was a devoted family man, and enjoyed playing tennis. Always well dressed, wearing a hat even at tennis (left) but, like gentlemen of his age, was not familiar with the kitchen sink! 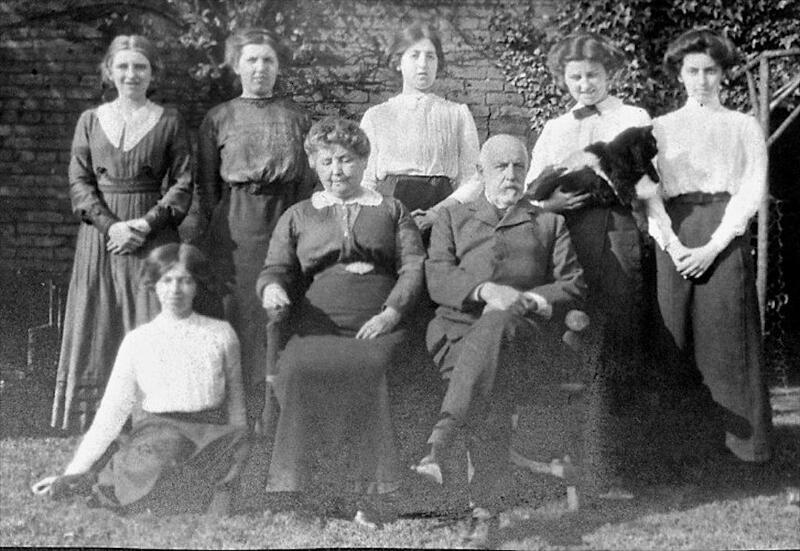 He was clearly a figure of stature locally and belonged to an organisation commited to spreading Conservative principles, the Primrose League. He goes on to say that he seems to know you all by the photographs I have and you are ‘a credit to your Papa and Mama’. He ends by telling young Walter that Queen Victoria’s Jubilee was celebrated in Antigua with buns and lemonade distributed amongst the little black children. 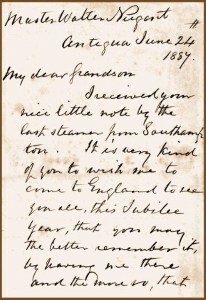 Five years earlier, Queen Victoria had bestowed a knighhood on Sir Oliver. Even for that purpose he had not sailed to England. There is no record of the children or their parents ever visiting Antigua so it is likely they never met their Nugent grandparents. Back in Sowerby the Nugent girls all had new ‘jubilee dresses’ for the royal occasion, doubtless made of wool from their father’s mill. Five of Nicholas and Caroline’s nine children married, Walter, Charles, Muriel, Evelyn and Eileen, giving rise to Wade, Brushfield and Nugent branches who settled in Surrey, Kent, the Lake District and elsewhere. Muriel married a local land owner, Eileen an army officer and Evelyn a doctor – all marrying at St Peter’s Sowerby. Walter and Hugh both became army officers, Hugh later dying of typhoid in Cairo. Charles served in Malaya as a surveyor. Margery achieved fame for the novel Fenella, written while she worked in London’s East End and published by Faber and Faber in 1942. Lilian also worked in the East End, amongst tuberculosis sufferers. Beatrice (Bee) trained as a nurse while Eileen became secretary to the scouting pioneer, Robert Baden-Powell. I remember meeting great aunts Bee and Lilian, known in the family as ‘the Blackheathans’ after the London suburb where they first settled, at their later home in Eynsford, Kent, where as a young boy I was chased by one of the geese they kept! 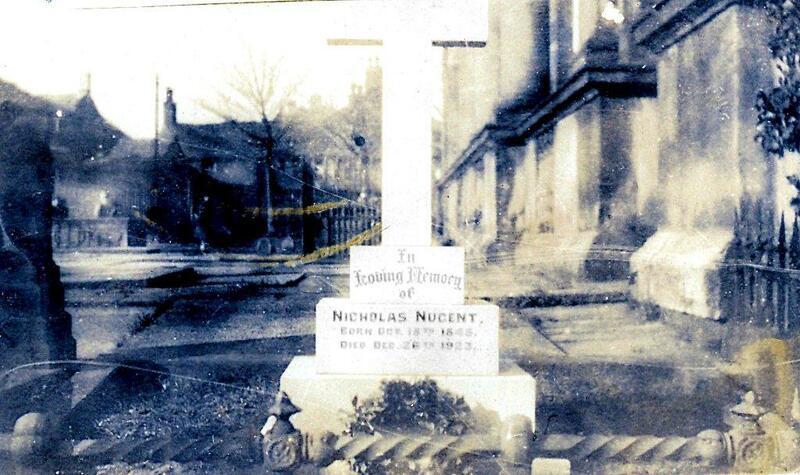 Nicholas Nugent died at Christmas in 1923 and was laid to rest at St Peter’s, Sowerby, (left) the church where the children had been baptised and some were married.